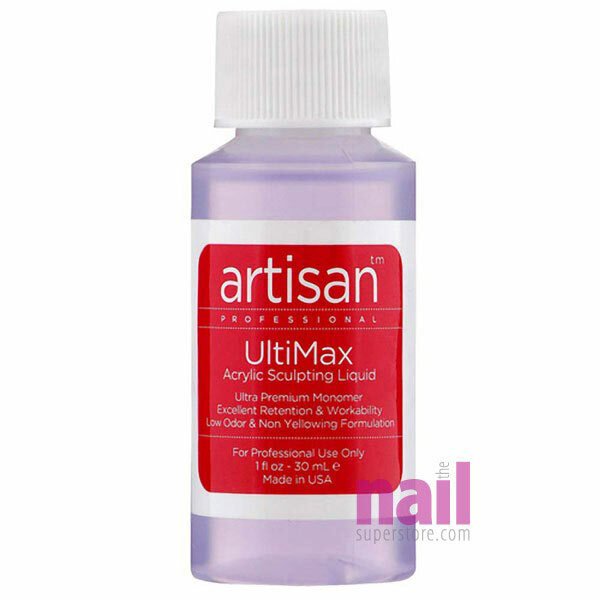 Artisan UltiMax Acrylic Liquid is highly adaptable for any nail tech experience level. The self-leveling feature of the system makes it a breeze to sculpt with minimal stroking and filing on your end. 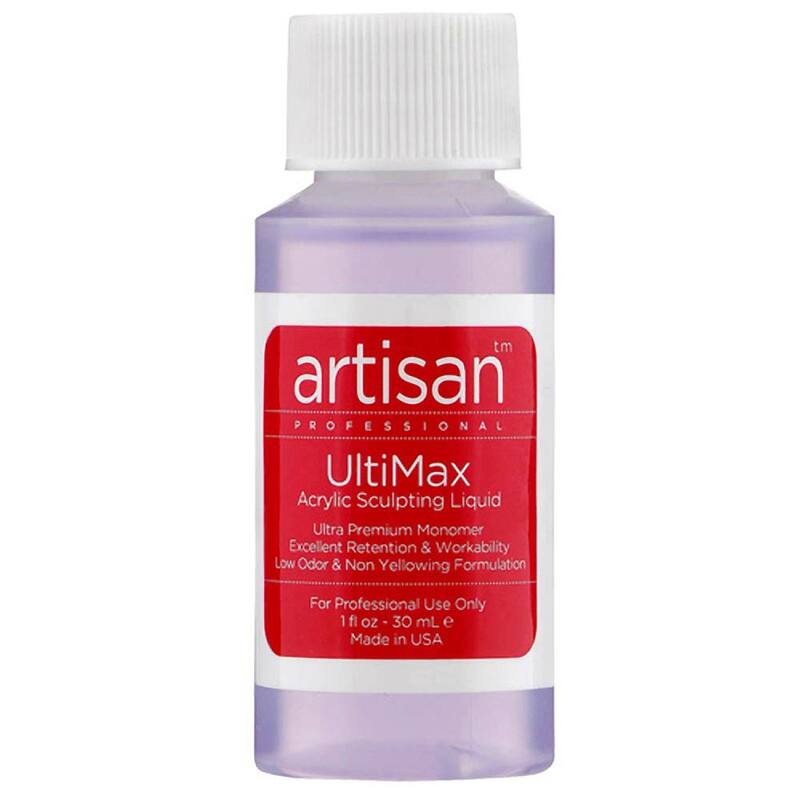 UltiMax Acrylic Liquid is specially made to be non-yellowing and lift resistant. Safe product contains no MMA. Start producing flawless consistency and superior adhesion that lasts more than two weeks. Product Comment: I like that it is not as stinky as others, even application too, I am a beginner so it was very easy to apply. Product Comment: Muy buenos productos. En general en ésta tienda tienen los mejores productos y de muy buena calidad. Product Comment: I know it says low odor but the product still has a string smell that lingers around for a while. With that being said, the product still worked well with the acrylic powder and does not take a long time to dry. Product Comment: This monomer works very well with the powders. The container works well when it comes to sealing the liquid in. However, I'd rather buy in a bigger quantity. Product Comment: This is the first time I have pick a professional monomer that actually has a low odor , does give me headache , and the workability is excellent I like the setting of the acrylic to the nail plate . It is excellent choice Im looking to purchase more soon as business pick up. Product Comment: This is the best liquid acrylic that I have found on the market. And a little goes a long way.